Our proposed judicial review claim, in relation to Cell A and Cell B1 of Newcastle Great Park, has prompted Newcastle City Council to take the application back to planning committee. This is a rare victory for us and we are pleased to see our efforts have not been in vain. 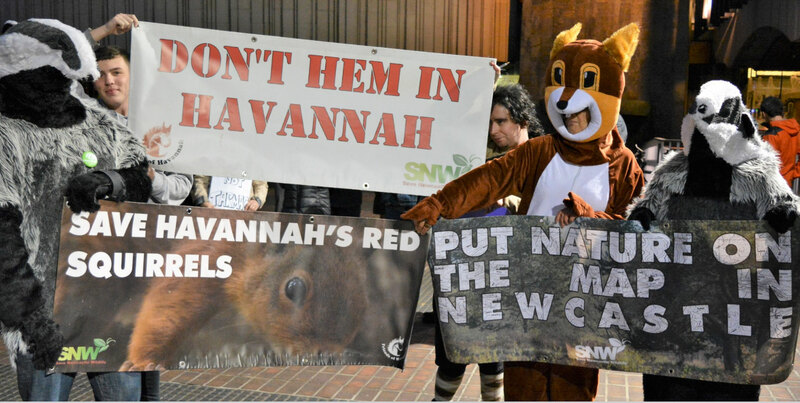 The threat of legal action clearly had the council worried and our campaigning has made officers think twice about permitting unlawful development that would have a detrimental effect on wildlife and see further loss of green space in Newcastle. There is still the option to pursue judicial review, should the council come to the conclusion that such development should be permitted. Had we not pursued this claim, it is likely the development would have gone ahead unchecked, to the detriment of wildlife in and around Havannah Nature Reserve and to residents who benefit from using the parkland, which lies in the Green Belt. We would like to thank everyone who has supported our Don’t Hem in Havannah campaign. It is expected the plans will not go before committee until after the local elections, which gives people more time to object to the plans.